Facebook has just announced a new app called Poke, which has a Snapchat-like feature that allows users to send private messages that expire after 1, 3, 5 or 10 seconds. Snapchat, a hugely popular messaging app, features a similar expiring message feature that has become very popular among teens and students, especially for sending more risque images and videos. 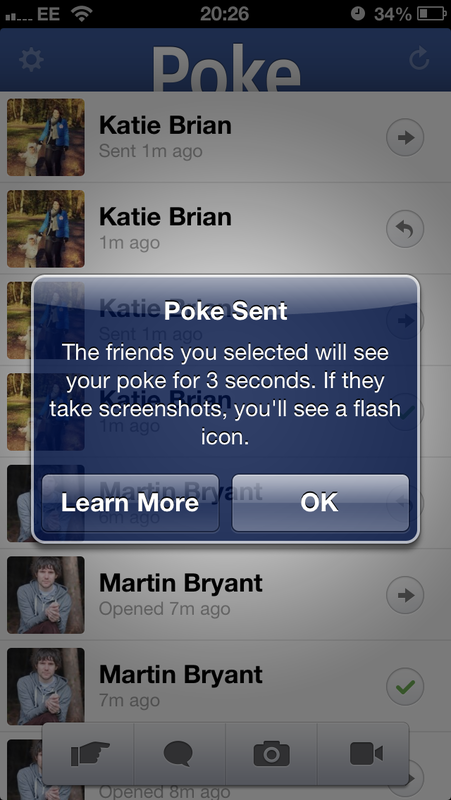 Facebook says that Poke is about sending messages to individuals or bunches in a ‘lightweight’ way. You can set each message to expire after 1, 3, 5 or 10 seconds. 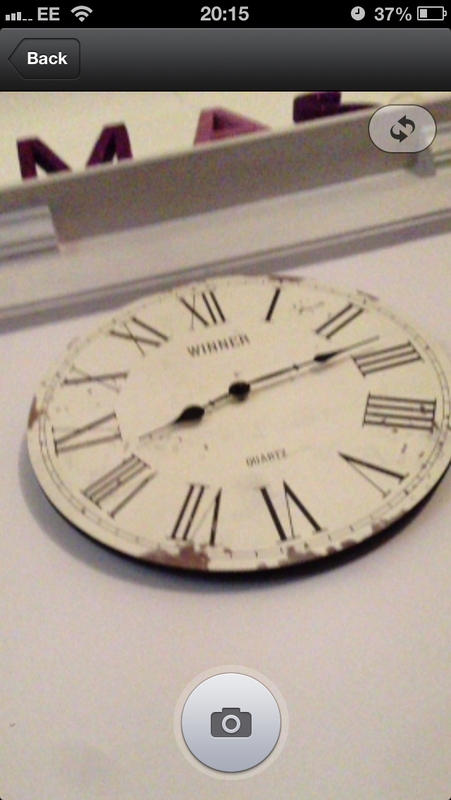 Once the time limit you set runs out, the image, text or video disappears from the app. To view a message, you tap and hold on it until it disappears. The interface features a reporting aspect that is easily accessed under the Settings section. This allows you to flag content that you’re ‘uncomfortable’ with. To send a message, you tap on the corresponding button and pick a bit of media. 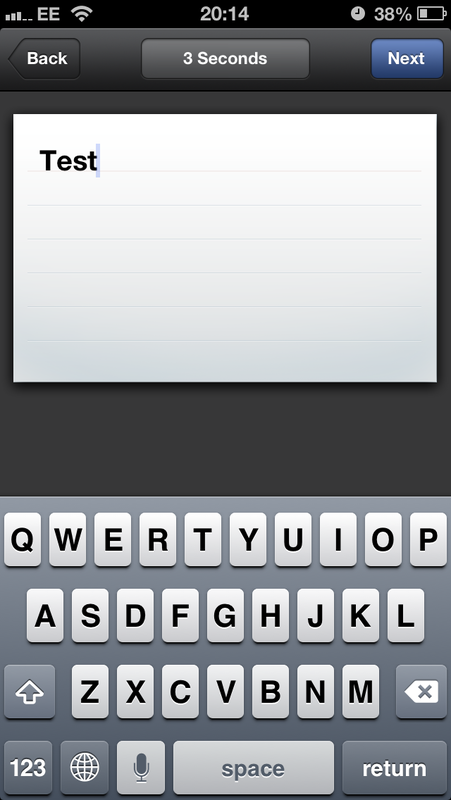 Then you select the time limit and recipient (or recipients) and tap on send. Once the message is sent, you’ll see a message that confirms your time limit. If the person you’re sending it to takes a screenshot, you’ll see a flash icon on the message indicating that they did. Facebook is no doubt looking to capitalize on the success of Snapchat, which has garnered millions of users, with 50 million photos sent per day. Thought the private messaging service has gained a reputation for being the go-to ‘sexting’ app, 80% of its messages are sent during the day, rather than under the cover of night. Sure, folks could be amateur porning it up all day, but it really seems that there is another phenomenon going on here, and Facebook wants a slice of that. And with a billion users of the platform, it has a chance to grab it. As the parents of Facebook’s younger users have joined the service and issued friend requests, it has increasingly become a place that they may not be as comfortable sharing borderline, or outright forbidden, content. Instagram’s purchase was about recapturing that youthful demo as much as it was about gathering photo data. Poke seems to be another step along that path. 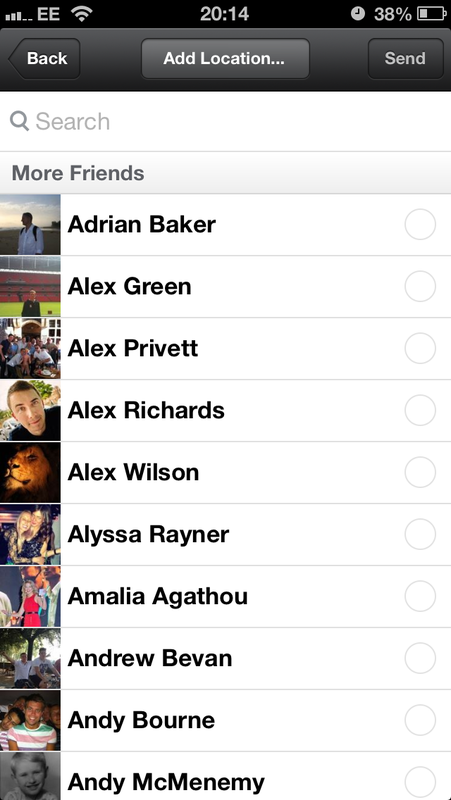 Note, as well, that when I described Poke as ‘Snapchat-like’ above I really meant ‘complete clone’. This is essentially a Facebook skin on the Snapchat app. Fairly blatant copy of a popular app by Facebook here.